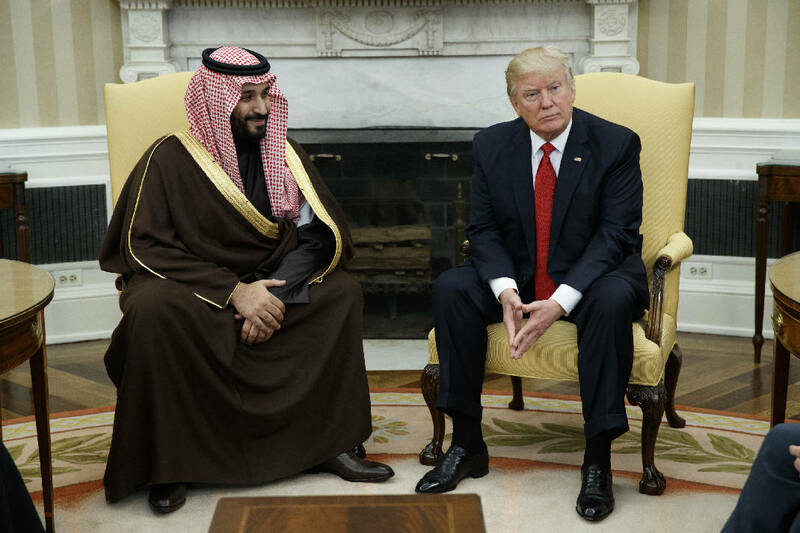 WASHINGTON (AP) - The White House indicated Wednesday that Saudi Arabia will remain a close consultant to President Donald Trump on security and economic challenges in the Middle East, including the Israeli-Palestinian conflict and the Iran nuclear deal. The White House statement offered a glimpse at how this nascent administration's Middle East policies are taking shape, and how influential Saudi Arabia may be in shaping them. It left little doubt of the president's commitment to reinforcing relations with Saudi Arabia in a lengthy readout Wednesday - a day after the visit. Trump's rhetoric toward the Israel-Palestinian conflict has notably softened since he was sworn into office. Trump abandoned, at least for now, his vow to move the U.S. Embassy from Tel Aviv to Jerusalem, a plan long in the works but never executed due to the potential security implications. Trump has also urged Israel to stop settlement expansions in disputed territories and said that the Israelis and Palestinians should determine for themselves whether a one- or two-state solution may work best. Saudi Arabia has long said that any normalization of relations with Israel must include a just resolution first to Palestinian statehood, including claims to east Jerusalem and one of Islam and Judaism's holiest sites. More broadly, the statement also addresses the need for collaboration in the fight against the Islamic State militant group - the White House referring to the group as "Daesh," its Arabic acronym, for the first time. The Trump administration typically refers to the group by its English acronym, ISIS. The White House emphasized the need to normalize relations between the U.S. and Saudi Arabia, which had soured in recent years over Saudi objections to the Iran nuclear deal, reached by the Obama administration. Saudi Arabia has welcomed Trump's hard line rhetoric on Iran, but the White House statement Wednesday notes "the importance of confronting Iran's destabilizing regional activities while continuing to evaluate and strictly enforce the Joint Comprehensive Plan of Action," indicating that the agreement may not be dismantled, as Trump had promised during the campaign. The statement emphasized the need to strengthen economic and commercial ties as well. The two sides discussed the creation of a new United States-Saudi program, undertaken by joint U.S.-Saudi working groups, which would embark on initiatives in the energy, industry, infrastructure, and technology sectors, with opportunities worth more than $200 billion, the statement said. Associated Press writer Aya Batrawy in Dubai contributed to this report.